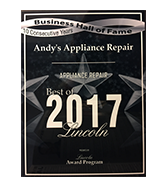 Andy’s Appliance Repair has been locally-owned and operated in Lincoln, NE since 1971. We are a 3rd generation company. Originally founded by George “Bud” Andrews and his wife Jane. In 1991 George and Jane sold the company to their son Terry and his wife Debbe. After 17 years Terry started teaching the Major Appliance Professional program at Southeast Community College and sold the company to their son Tanner. Currently the company has grown to 12 technicians and 6 customer service and office staff. 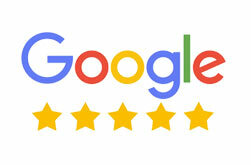 We are committed to providing the best Appliance Repair Service possible. 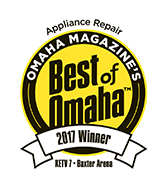 We have expanded our technician staff to 12 fully trained appliance repair technicians and are still looking to add on to our staff, but we promise we will only add those appliance repair technicians that meet our very high company standards. 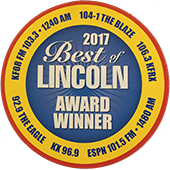 Our appliance service area also now covers Lincoln & Omaha and the surrounding communities. All of this ensures that you, as a customer, will get your appliance repair needs taken care in a prompt, professional manner by appliance repair technicians that are professionally trained and truly care about our customers.